An unnamed storm which is forming in the Gulf of Mexico is affecting cruise ships. A storm has formed in the Gulf of Mexico and is currently known as a potential tropical cyclone three. The storm which is affecting some cruise ships has according to the National Hurricane Canter maximum sustained winds of 40 MPH and is moving northwest at 10 MPH. 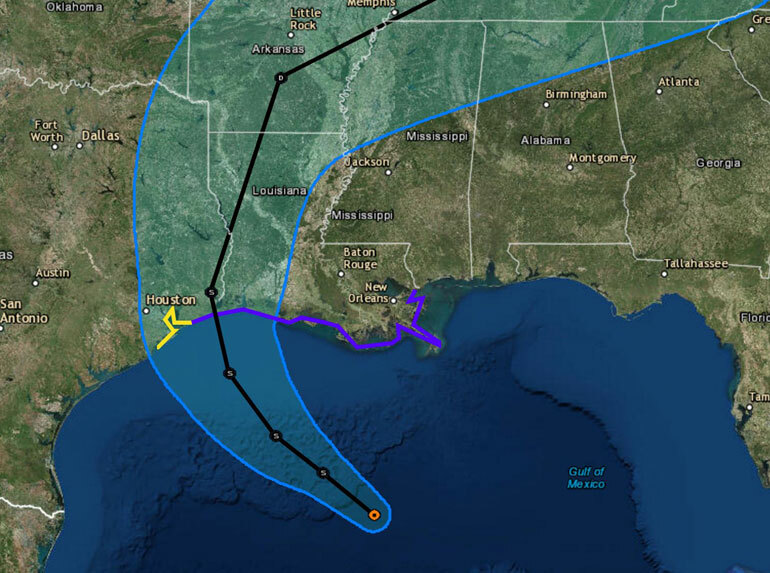 The storm which is threatening the United States Gulf Coast has so far forced two Carnival Cruise ships to sail reversed itineraries. Carnival Cruise Line has confirmed with us that Carnival Valor and Carnival Triumph have swapped around their port of call dates to avoid any risk from the storm. Carnival Triumph is on a 5-nighrt sailing which departed New Orleans on June 19 and Carnival Valor is also on a 5-night voyage which departed Galveston, Texas on June 17. The storm is located 450 KM from Morgan City, Louisiana, and cruise lines are monitoring the progress of the storm. Any developments affecting the cruise industry will be updated on Cruise Hive. We are hoping for smooth sailing this year and stay safe everyone.